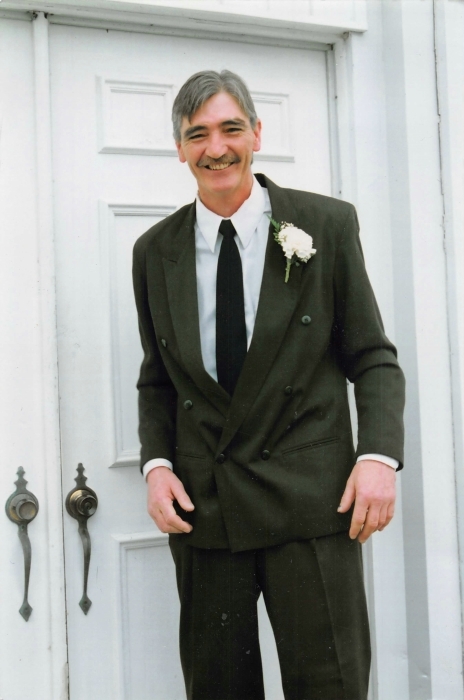 Mr. Leo D. “Dougie” Tiernan, 56, of Canton passed peacefully in his sleep on Friday, June 29, 2018 while in the comfort of his home. Dougie was born on August 19, 1961 in Gouverneur to Leo and Vivian “Peggy” (White) Tiernan. He graduated from Hermon-DeKalb Central School, where he was very active and accomplished in sports, especially his beloved game of basketball. Upon his graduation, he joined the US Navy as a Seabee. Dougie was a handyman and worked jobs from farm hand to carpentry. He was a member of the AMVETS Post #11. Dougie enjoyed reading a good book as well as fishing and most anything outdoors. Dougie was a practical jokester through and through. He loved to make people laugh and tell a good story or two. He enjoyed the company of his family playing various card games, especially a classic game of Pitch. Surviving are five daughters or “Dougie’s Girls”, Erin Tiernan of Canton; Morgan Tiernan and fiancé Jeff Bogrette of Hermon; Alicia Trudell and husband Frank of Hermon; Kaitlyn Tiernan and Richard Pratt of Ogdensburg and Miranda Tiernan of Ogdensburg; 12 grandchildren, Kiana, Rilyn, Jaida, Tavon, Henry, Wyatte, Adele, Aiden, Dorian, Harrison, Mason, Jaxon and two grand-pups, Bella and Thor. Also surviving are three brothers, Steve Tiernan of Canton; Tom (Meg) Tiernan of Clay; Mark (Amy Briggs) Tiernan of Canton; two sisters, Lisa (Randy) Martin of Canton and Kathy “Sissy” (Dwight) Dooley of Columbia, SC and many nieces and nephews. Awaiting him in heaven are his parents, Leo and Peggy Tiernan, a sister, Brenda Karekles and a niece Mackenzie Tiernan. Calling hours will be held on Thursday, July 5, 2018 from 4:00 pm to 7:00 pm at the O’Leary Funeral Home in Canton with a funeral service being held at the funeral home at 7:00 pm with Father Bryan Stitt, officiating. Burial in the Hermon Cemetery will take place at 1:00 pm on Saturday, July 7, 2018. Contributions in his memory may be made to the American Heart or Cancer Association. Memories and condolences may be expressed online at www.olearyfuneralservice.com. Arrangements for Mr. Leo D. “Dougie” Tiernan are under the care of the O’Leary Funeral Service of Canton.